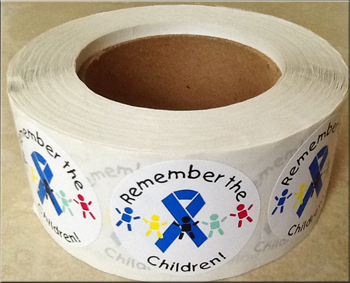 "Together we can stop domestic violence" theme related awareness products. 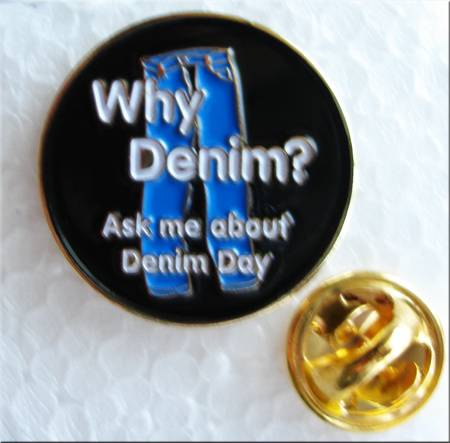 We can also customize orders with your organization's name or logo and many of our items can be purchased in sale packages or at quantity discounts. 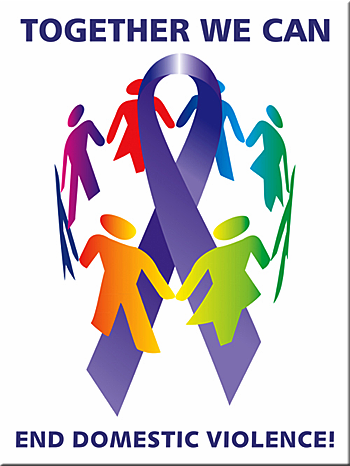 18x24" Domestic Violence Awareness Poster with mult-color imprint, only $3.50 each. See info page for sale packages. White 100% cotton tee-shirt with multi-color imprint, only $9.95. See sale packages on the more info page. 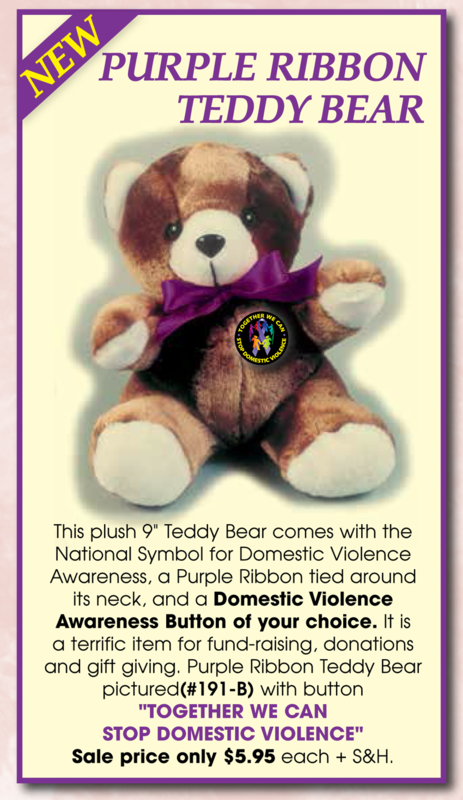 This plush 9” Teddy-Bear has a Purple Ribbon, the National symbol for Domestic Violence awareness tied around its neck and is pinned with the theme… button of your choice. 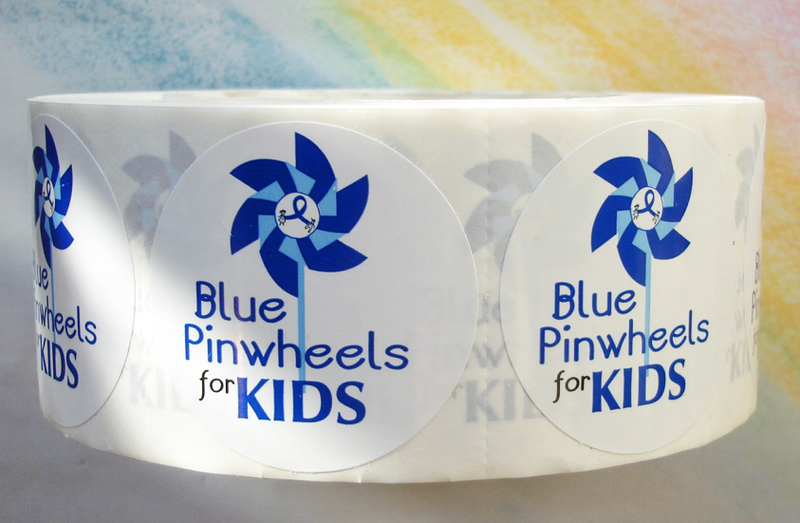 Only $5.95 each.